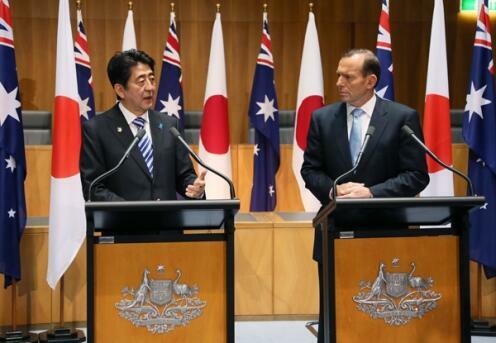 Some key elements have yet to embrace the idea of Australia and Japan as allies. 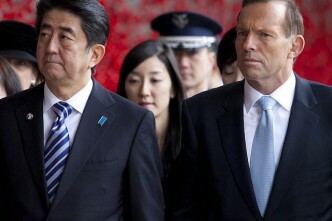 Two groups not to have noticed or still to be convinced are the peoples of Japan and Australia. Fair enough, perhaps, because the idea has zoomed into view in less than 15 years. As notable is the political divide that has just appeared—this is one alliance where Australia’s major parties aren’t in vigorous agreement. The Australian Labor Party is now sceptical about Japan as an ally, while the Liberal Party is an enthusiastic booster of the alliance; John Howard launched the effort and Tony Abbott is pushing it even harder. Abbott’s description of Japan as a ‘strong ally’ last year prompted columns on the differences in the language used by Labor and Liberal governments, and what Abbott wanted to build. The term ‘ally’ can be used in a precise way and it can be used in a generalised way. It can be used with a capital ‘A’ or a small ‘a’. 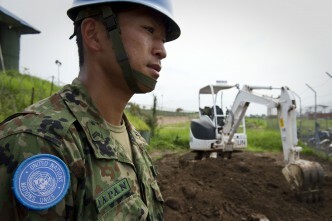 Japan is not a capital ‘A’ ally because we do not have a security agreement with Japan in the way that we have with the United States. 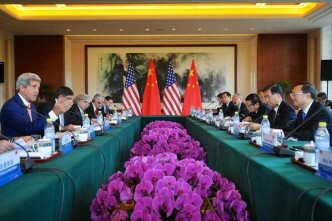 Japan is a very close economic and strategic partner. That’s a fine example of taking cover in clarification and seeking camouflage from classification. 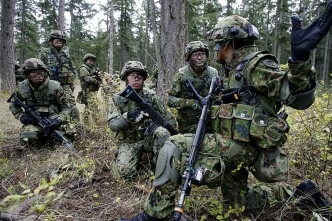 The idea of Japan as small ‘a’ ally has enough truth to it for this column to argue that Japan now sits on the second tier of Australia’s defence relationships, along with the traditional Anglo Allies, Britain and New Zealand. Japan as ally is so new it caused the Prime Minister and the Opposition Leader to misstep with their mouths. Their rhetorical ricochets were in different directions. Abbott was too effusive while Bill Shorten ranted several steps too far. In welcoming Shinzo Abe to the Australian Parliament, Abbott paid tribute to ‘the skill and the sense of honour’ of the Japanese submariners who attacked Sydney Harbour. The sharp WWII history lesson Abbott received from parts of the Australian community was forceful advice that the Japan relationship can’t be built by airbrushing the past. Abe got the tone better with his words to Parliament about the horror and the trauma of that war. Shorten brought up Japan’s torpedoing of Australian ships during WWII to attack speculation that Australia’s new submarine could be based on Japan’s Soryu subs. 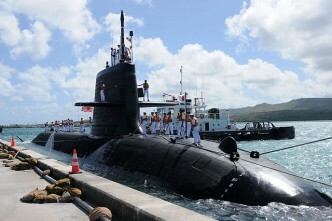 The Opposition Leader said a future Labor government might not honour a submarine contract with Japan. It’d be ironic if an effort to get value for defence dollars actually gets Australians to focus on the meaning of a small ‘a’ alliance that has both a bilateral and trilateral base. 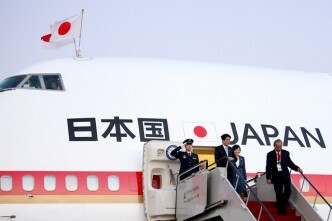 In launching the US–Australia–Japan trilateral and in building bilateral defence ties, John Howard’s government took the lead and Japan warmed slowly. When Foreign Minister Alexander Downer first broached the trilateral with his Japanese counterpart he was told Australia was too insignificant as a security player for Tokyo to bother. Equally, Canberra was eager to go further than Tokyo in the ambit of the Joint Declaration on Security Cooperation that Howard and Abe signed in March 2007. In government, Rudd didn’t slow the growth of the military relationship, while the Gillard government quietly maintained the momentum; perhaps so quietly one Labor minister, Bill Shorten, didn’t notice. A lot of Australians are in the same boat (or submarine). The Lowy Institute 2014 survey of Australian attitudes to the world posed a question based on Abbott’s embrace of Japan as ‘Australia’s best friend in Asia’ and got a different result: 31% of Australians nominated China as our best friend while 28% said Japan. See that as a B+ for our small ‘a’ ally. Graeme Dobell is the ASPI journalist fellow. Image courtesy of Twitter user The Gov’t of Japan.